You’ve heard tons about coding and know that it has to do with computers and they process the information we see. However, you may not have much more than this vague understanding of the concept. Don’t feel bad. Many people don’t really understand it, though we all depend on the fundamentals of code each and every day. It’s such an important aspect of the technological landscape that President Obama has unveiled a new initiative called “Computer Science for All” that has been backed by and invested in by big names, including the Turner Broadcasting Network. The President’s movement is one that mirrors that of our nationl’s schools that have been emphasizing the value of technology, computer science, engineering and other STEM related topics. Read on to discover what computer code is and why it is of such importance in today’s society. 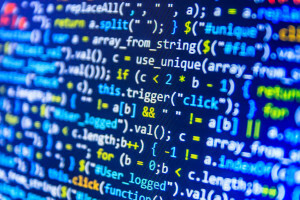 Coding is basically the computer language used to develop apps, websites and software. Without it, we’d have none of the major technology we’ve come to rely on such as Facebook, our smartphones, the browser we choose to view our favorite blogs or even the blogs themselves. It all runs on code. To put it very simply, the code is what tells your computer what to do. To go a bit deeper, computers don’t understand words. They only understand the concepts of on and off. The capabilities of a computer are guided by on and off switches or transistors. Binary code represents these on and off transistors as the digits 1 and 0. An infinite number of combinations of these codes make your computer work. In order to make binary code manageable, computer programming languages were formed. These languages each serve different purposes, but they all allow programmers to translate important commands into binary code. The benefits of learning to code are actually quite vast. No longer do we live in a time when only tech professionals are using this useful language. Being able to utilize the commands of code yourself will enable you to have more control of the technology you depend upon. For example, whether it’s for personal or professional use, more and more people are writing blogs and creating websites to share their message or skills with the world. Being able to understand basic code would allow you to make tweaks to the design of your site without having to pay a webmaster to do it for you or to wait for someone from IT to take care of the ticket you submitted ages ago. A knowledge of code can take you even further if you decide to pursue it. Some in-depth study will provide you with the skills to build a website to your own specifications and to fit your desired needs. If you find you have a passion for technology and a talent for navigating the in-depth nature of computer languages, you could go on to become a professional coder and work for a tech company or even start your own business venture or launch a best-selling idea. The job market is opening up for technologically savvy professionals. Having a basic knowledge of coding can simply help you to have a better understanding of how the technology you use every day works. It’s an empowering feeling.